it's "how-to tuesday" on the pebbles blog, and it's my turn to share a little fun technique with you. my project also gives you a little peek at pebbles new mid-release, floral lane. you can see how i took these supplies. and ended up with this cute card. you can find all the instructions and step-by-step photos on the pebbles blog. this week, it has been all about favorites on the pebbles blog. whether it was our favorite products, favorite colors, a favorite photo, or our favorite things. here is my take on the theme. i decided to create a layout, documenting some of my favorite things right now. i have made a few of these layouts in the past. it's always fun to look back, and read what my favorites were back then. some are still on my favorites list, and some have been put to the side for new favorites. i used my circle cutter, to cut different sized circles from an assortment of pattern papers. i used a few papers from the happy go lucky collection, and a few from the ever after collection. i love how they work so well together. i machine stitched around each of the circles, before adhering them to my layout. you might notice that i make very rough, not-so-perfect, circles when i'm stitching. i'm not very good at making my stitching straight and perfect. so i just do it a little wonky on purpose. but i go around two to three times, so that it looks a little more random. on each circle, i have a short list of my favorites for a certain theme. i covered favorite tv shows, favorite music, favorite foods, favorite drinks, favorite hobbies, and favorite colors. under "best stuff", is my favorite things of all. i used my tiny alpha stickers from making memories, to add the theme to each circle. i added my title using some older pebbles letter stickers, and added a border sticker and some ribbon along side the title. a few chipboard flowers, and some glitter flower brads, and the layout was complete. exactly one year ago today, alyssa graduated from the 8th grade. 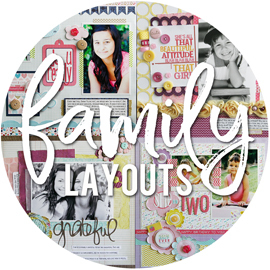 so it seems fitting to share this layout that i created for creating keepsakes with you today. it is featured in the may/june issue, that is out in stores right now. i created this layout for an article about scrapping less-than-perfect photos. i was asked to use a blurry photo on my layout. the photos from this night came to mind right away, since i knew i had plenty of blurry shots. i don't usually keep blurry shots, but these captured a moment and i'm so glad i didn't hit the "delete" button. like this one, with her friend idalis. or this one, with her friend alyssa. i decided to tie in the blurry shots, with my journaling and what i was feeling when i took these photos. how most of the photos that i took after graduation, were blurry. which sort of represented how much of a blur the school year had been. it just flew by so fast. i remember when i was making this layout, i had just gotten a bunch of goodie boxes from some manufactures. and i was picking and choosing products, right from the boxes. those fabric american craft thicker, are one of my favorite thickers to use. love them. i extended the title onto the canvas tag, using some tiny alpha stickers. i half created these photo collages in photoshop. usually, i do the math and make the photos all similiar sizes, to fit the space i have. but this time, i tried something a little different. i randomly cropped and sized each photo, so that i had an interesting mix of sizes. i created two canvases in photoshop, and arranged the photos as i wanted them on the layout. just to get a feel for how they were going to look, and what spaces i would need to fill. after i printed the photos, i did end up trimming each one and adhering them to a piece of white cardstock. then i just trimmed pattern papers to fill in the rest of the collages, and adding a few embellishments and journaling tags to some of them. i used a clear making memories clock embellishment on the first page, and a jenni bowlin chipboard clock (and some buttons) on the second page. they represent time, and how quickly it passed that year. i think my journaling pretty much summed up that evening. for the both of us. and the crazy thing is. i thought her 8th grade year went by so fast. turns out, her freshman year went by even faster. lol! bonus post today! this is my second layout share of the day. so if you missed the first one, scroll down to see it. as the may guest designer, i have my next project up on the little yellow bicycle blog today, along with part three of my Q&A session. 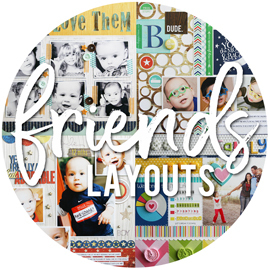 it's a layout, using their new baby saurus collection. this collection was perfect to scrap some photos of little zachary from last year. when i saw the chipboard sticker slider embellishment, i knew i wanted to scrap these photos of zachary from the first time he crawled. the base of the layout came together very quickly. i choose 2 of the pattern papers, added in the little dino border strip i cut from another pattern paper, and picked out the blue and orange canvas border sticker. i arranged them all from top to bottom, and added my photos, and the "bones" of the layout was complete. then i added the chipboard sticker slider piece, in between my photos. you can move the slider up and down, so that it points to whatever you're scrapping about. i could have done quite a few of those, but these photos of him crawling matched the collection so well. i had some empty room up in that top corner, so i used my circle cutters on a few pattern papers. that cute little dino chipboard sticker looked like he had something to say. so i added the little word bubble sticker, and added "zachary" with tiny alpha stickers, so that it says "zachary says rawwwr!". keep your eye on the little yellow bicycle blog, as i have two more projects coming up before the end of the month. i wanted to share a layout i had up on the bella blvd blog yesterday. i was asked to do a school layout, using their midterm collection. i really wanted to use the post-it note border strip from one of the papers. the little notes that are written on there are a good fit for high school and college aged students. and most of them really fit alyssa and how busy her freshman year has been. so i dug out this photo of her, from the first day of high school, for this layout. i didn't intend to do my title this way. but my circle ended up larger than planned, and i didn't have a ton of room left for the title, since i wanted to use the larger letter stickers. i'm glad i thought about wrapping the letter stickers around the circle, because i really like how it turned out. i won't tell you how long it took me to get them all perfectly spaced and arranged how i wanted them. this was one of those layouts where i just created, and had fun with the products. and really didn't keep in mind a spot for my journaling. since journaling is always the last thing i do. lol! so i kept it short and sweet, and fit it in the upper corner of the layout. the clock is from the cute cuts sheet of pattern paper. they're fun images that you can cut out, and use on your projects. i choose the clock, because it's just a reminder of how busy and crazy her schedule has been. and i'm pretty sure the time reads about 6:05 or so. and alyssa gets up right before 6:00am, every school day. i used a circle cutter, to cut a large circle from the grey circles pattern paper. i did the machine stitching around the edges, before adhering it to my layout. i added a yellow brad to the center of the clock hands, and then adhered it to the grey circle using lots and lots of pop dots. awwww. the cute post-it note border. isn't it adorable? the music note strip, was right below the post-it note strip on the sheet. so i just trimmed the two of them from the sheet together. the music notes fit in with alyssa's schedule, since she plays the clarinet in band. i used a notebook border punch, on a strip of red cardstock, to tuck underneath the music notes. make sure and check out the bella blvd blog for lots more inspiration. I love using Prima flowers and challenge myself to find ways to use them on my boy pages!!! Adds a little touch of mom to their pages. i have a layout share today. it's actually a just-for-fun layout, that was created just-because. i don't seem to have as many of those these days. i recently received a bunch of new american crafts ribbons. i picked out a few that i wanted to use, and that's honestly how this layout came about. i would say that 7 times out of 10, i am product driven when it comes to scrapping. 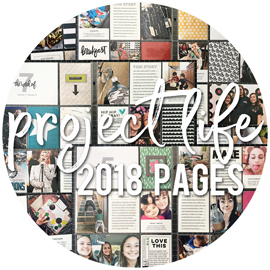 find some product, then find the photos, then pick a title, and then do the journaling. in that order. when i adhered the turqouise star ribbon alongside my three photos, i did a little ribbon pleating on the top. i like to use mini glue dots to help adhere the ribbon pleats, and hold them in place. then i pushed the chunky brads through each pleat. i adhered the yellow ribbon, and the brown felt trim next. these chipboard banner pieces are from bella blvd. i had adhered them to the layout, and added the clear rhinestones in between each pieces. but i felt like that top part of the page needed something. so i trimmed up a piece of yellow pattern paper to fit the space. sort of looks like a sun, right? these chipboard letters, by making memories, are super old. i painted them with some turqouise paint, and adhered them with pop dots. the letter stickers are from bella blvd. i also used the same paint, and lightly added it to the edges of the clear plastic flowers, using my finger. i adhered them to the layout, using a small glue dot in the center of the flower. the clear rhinestone covers up that glue dot, so you don't see any adhesive through the flower. i've been super busy the last few days, working on a variety of assignments. tonight, i actually have some time to blog. but i'm feeling short on words. creating keepsakes has another new issue out this week. can we handle two new issues, right in a row? i know i can! scrapbooking tips & tricks: fabulous flowers, is dedicated to anything and everything related to flowers. but i will show you a peek at one of my layouts in this issue. this is a new favorite layout of mine, and i'm so glad it's finally out. i'll share more about it next week. here's a little peek inside the issue as well. if you're looking to purchase a copy of this issue, use code FLOWERCK for free shipping in the US on orders over $25. it's good until june 3rd. creating keepsakes has been generous enough, to offer a free copy of this issue to one of my lucky blog readers. just leave a comment here, telling me your favorite type of flower to scrapbook with. could be your favorite color of flowers, your favorite brand of flowers, or your favorite way to make your own flowers. i'll leave the comments open until thursday night, and i will announce a winner on friday morning. i wanted to share a few tips today, on how to maximize your paper, when using your slice. i know when i first started using the slice, years ago, i went through a TON of paper. i was randomly slicing shapes all over my papers, without any thought or planning. and in the end, i was wasting a lot of paper in the process. here's a great video on getting the most out of your paper, done by miss jenny weston of making memories. here's a sheet that i was slicing on months ago. like, forever ago. i'm actually quite clueless as to why i saved it. lol! it shows some pretty good cutting. but there's still a lot of wasted paper there. this paper is from last week, when i was working on THIS project. one big tip i have, is to work in rows. when i slice, i go from left to right, and from the bottom of the paper to the top. i like to work from the bottom, since the majority of the shapes start slicing towards the bottom of the shape. if you work from the top of the paper, you'll have to pay more attention to how much room you'll need, so that you don't cut into the space above. i also work in rows, so that, once i'm finished, i can simply trim off that strip of the paper if needed. makes more sense then to slice randomly all over the paper. another tip i have, is to really learn to judge the size of your shape and how much room you need to slice it. this seems obvious, in some ways. if you're slicing a 2 inch letter, you need 2 inches of space. right? this is true. one way you can judge where the slice is actually going to cut, is to use the measurement guides on the mat and on the slice itself. the other way, is the way i do it. i eyeball it. after lots of use and a little trial and error, i think you can just really get a feel for how much room you need. i can tell you what 2 inches, 3 inches, or even 3.5 inches looks like. it just becomes familiar. this isn't really a huge tip. but i don't usually put my paper directly up to the edges of the mat. half the time, i just drop the paper and slice where it lands. i don't really line it up with the grid lines. BUT. having said that, the grid lines are great for checking your measurements. one reason i tend to start with the paper in this position, is that i can start slicing directly in the corner of the paper. if the paper is all the way to the edge, you can't always start out as far down on the paper. ignore my first "a". it cut a little too low. just shows you i make plenty of mistakes. lol! after you choose your shape, and choose "select", the blade will get into position and the screen will show you an "x" on the shape. this tells you where the machine will start slicing. on some shapes, this will be directly in the bottom corner of the shape. but some shapes, it will be a little higher up, or a little to the left or right. this is what happened on my "a". it didn't start in the bottom corner, like i thought it would. it started halfway up the left side of the "a". so this photo shows where i'm started my new cut, leaving room for the bottom part of the "a". when i went to cut my next letter, a "b", i started out right next to my last letter. usually, i would keep going, straight across the paper. but i wanted to show how i would go up to the next row. i'm cutting a "c" next, which starts the cutting halfway up the letter. so i positioned the blade to start cutting a little above the "a", leaving room for the bottom part of the "c". and then i started the "d", directly next to the "c", since it started slicing in the bottom left corner of the letter. i think this shows pretty good usage of my paper. i could have gotten these letters even closer together, if i tried. but i think this is good. we all love our paper and want to get the most out of it. so, with a little practice and learning to judge our shapes and how much room they'll need, you will be able to get so much more out of your papers. if you are on Facebook, be sure to become a FAN of our SLICE FACEBOOK FAN PAGE so you can be the first to know about new products, project ideas, tips & tricks, and giveaways too! i was asked to be the may guest designer for little yellow bicycle. of course, i jumped at the chance! i have always been a big fan of their products, and have used them quite a bit on my own projects. i received the baby saurus and tiny princess collections to work with, and they are adorable. find out how i started with this. and ended up with this. it's almost like a trash to treasure type of thing. you can see the final layout, and all the steps, on the bella blvd blog. time to pick a winner for a free copy of the new creative spaces 2011 special issue. i meant to take a screen shot of my random number generator's pick, but i accidently closed it out without getting the shot. so, you'll have to trust me on this one. #10 is the lucky one today! congrats sandy! email me your mailing address, and i'll have your copy mailed out to you! enjoy! the amazing creative editor megan hoeppner is the brains behind this special issue, and she did a fantastic job on this issue. i have loved seeing all the excitement over it online this week. 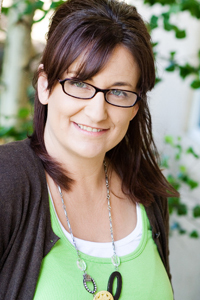 megan filmed a segment for studio 5 television yesterday, talking about ideas for creating your own creative space. lots of fun ideas, that are taken right from the issue. in fact, i now have this strange desire to paint my scraproom, and make it more personal and fun. you can view her segment HERE. thanks to all of you, for taking the time to share some creative organizing tips. i saw lots of great ideas, and a lot of ideas that i already incorporate into my space. and a few that have me thinking of new storage ideas to try out as well. a certain 14 year old in this house picked up some awards at school this week. if you guessed alyssa, you'd be right. partly, because she's the only 14 year old in the house. lol! the high school band had a concert on monday evening, and afterwards they had an awards ceremony. they handed out the participation awards, and then moved on to a few special ones. she picked up one of the two "director's awards" for the freshman band members. then, on wednesday evening, they had the academic awards at the school. she snagged three awards. a honor certificate, for a GPA of 3.0 and higher for the year. a honor pin, for a GPA of 4.0 or higher (her's was higher ;)) for the year. and a baby buff scholar award (their school mascot is the buffalo) for freshman earning a GPA of 3.5 or higher for the year. we could not be more proud of her, and how well she has done in high school. i think maybe a certain someone deserves a little something from her family. something fun, to let her know we think she's pretty cool. and do you know what she thinks is pretty cool? oreo cookies! she's not big on candy or junk food. but she is all about the cookies. it's an easy way to make her smile. have you seen the new bravissimo collection by making memories? it's a fun reward and recognition collection, that can be personalized to fit your occasion. they are perfect for all the big occasions, like birthdays, graduations, and weddings. but they're also perfect for all the little occasions in between. just like giving alyssa her own little award from us, in recognition for all the awards she got at school this week. the bravissimo collection can be found in michaels stores. they come in a variety of styles and sizes. you can pick out all your own pieces, and assemble them from start to finish. you can find semi-finished ones, that you just add your sentiments too. you can find finished ones, that are ready to go right out of the package. there are extra add-on pieces to really personalize the awards. there are even wands, medals, and shadow boxes. so much to choose from. the semi-finished bravissimos can be customized with the perfect sentiment to fit your occasion. i chose this red and white semi-finished piece. there are 4 pack sentiment sets, that have 3 sentiments and one metal piece to adhere it too. i chose this fun "you are awesome" sentiment. all the pieces come with little adhesive dots as well. so it really is super simple to assemble these. i added my sentiment to the metal piece, and adhered that to my bravissimo piece. and i was done. i found an empty jar, and filled it with almost an entire package of oreos. i added my bravissimo ribbon to the front of the jar, and used some coordinating ribbons to decorate the lid of the jar. super simple. but sometimes, simple is all it takes to let someone special know how proud you are of them. i wanted to get a photo of her with her fun little jar of oreos. but the poor thing is so sick right now with allergies. so i'll have to snap a photo of her later. 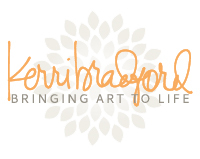 for more fun ideas, check out the bravissimo blog. it's called a daily dose of happy. how fun is that! and if you're on facebook, make sure and become a fan of the bravissimo facebook page, to keep up with ideas, news, and giveaways. big, exciting news! creating keepsakes has a new special issue out, called creative spaces. i am such a sucker for anything related to organizing. and if it's organizing scrapbook product and supplies, then it's even better. so i was super excited to get my copy of this gorgeous issue last week. i have been ohhh'ing and awww'ing over all the rooms, and checking out every little detail of how they have arranged their spaces. this special issue is packed with peeks into scraprooms of all different sizes and types. small spaces and large spaces, and plenty of ones in between. closets, corners off the side of a room, full bedrooms, open areas in the house. there's something for everyone. there are 45 stops into scrapbooker's spaces, and my old studio happens to be stop #44 in the book. want an idea of who else has a space featured in this issue? check out this impressive list. as i mentioned, this issue features my old studio. here's one of my favorite parts of that space. seeing it again, makes me miss it a little bit. i joked to joe that i was going to move back upstairs to the loft again. he didn't think i was very funny. lol! creating keepsakes has generously offered a free copy of this special issue, to one of my lucky blog readers. just leave a comment, with one fun storage tip. i always love hearing what works well for other's. and maybe someone else will think your idea is brilliant and perfect for them. i'll leave the comments open until late thursday night, and will announce a winner on friday. and just a little tip for you. a lot of those scrappers on that list up there, are doing giveaways too ;) if you'd like to purchase a copy, you can find it HERE in the store. if you use coupon code SPACESBB, you can get free shipping until may 27th. i got to play with the new all star design card for the slice, today. it's perfect for all sports, and has lots of great shapes to work with. right away, i knew i wanted to do something for my girls soccer albums. yes, i have soccer albums. i came up with a plan about 6 months ago, and started getting them all organized. one thing that i knew was on my list to do, was to make divider pages, to seperate all the years. i knew my divider page would serve as a sort of intro page for each soccer season in the albums. i got the idea to use THESE page protectors late last night, right as i climbed into bed. luckily, i remembered the idea this morning. the middle section is 6x12.5 or so. it's a bit longer than 12 inches, since all the squares on the top and bottom are 3 inches in size. so there's some extra wiggle room in the large center area. i knew i would add their age division, and team name, to that large part of the page. and then use squares of cardstock and pattern paper in the other spaces. i have a ton of this white grid pattern paper, so i figured it would work good for these pages. i have 18 teams to do, between the two girls. since this area is longer than 12 inches, i just added a few strips of kraft cardstock and pattern paper to the left side, to make the strip a bit longer. i love the font on the all star design card. i decided to do a mix of uppercase and lowercase letters for the team name. partly because some of the team names are pretty long. these letters are all either 2 inches or 2.5 inches in size. for the age division, i sliced the "U" and the number in a 3 inch size. this is a soccer album. so there should be some soccer balls, right? here's what it looks like finished, and in the album. this is for alyssa's last soccer season. her last year on under-14's. i added her jersey number, which was #5, to one of the squares. i will be adding the year as well, to the bottom white grid paper. need to find some stickers for that, i think. now, pretend this intro page was for sarah's album. because i havn't printed the photos from alyssa's arsenal season yet. but sarah just happened to be on the arsenal team the previous year, so this page could easily be her's too. just to give you an idea of what i have going in their albums. this is what i set up last year. i have some 8.5x11 page protectors, that i slipped their team photo and individual photo into. i also have their game schedule, and any newspaper clippings in there. at some point, i will do something with those, and make them a little neater. but for now, it makes sure i have them in the right spot and they're not floating around the house. following that, i have THESE page protectors. i simply choose an assortment of my favorite photos from the season to print, and i slip them into these protectors. i don't stress if i have vertical photos. it doesn't bother me that they're sideways on the page. although, they do make divided page protectors that will hold a mix of vertical and horizontal, if it really bothered you. i honestly don't scrap many soccer photos, on actual layouts. although, i do have a really fun one that will be in an upcoming CK issue ;) when you're dealing with 8 years of soccer, and 18 different teams, that's a lot of soccer photos. and i can't come up with that many ideas for layouts. lol! the photos are in an album. and if i get some notion to scrap a layout, i can simply pull out some photos and scrap them. i do have a few layouts done, and they're slipped right into the album, behind the divided page protectors, for the right season. here's sarah's into page for her all-star team, that just finished up this past march. this is the first one i did this morning, and you can see that "revolution" is a much longer team name. which is why i switched out some letters to lowercase. i like the loopy letter stickers that i used for "all stars", and it makes me want to add a little sub-title to my other intro pages. just stopping in to wish all of you mother's out there, a very happy mother's day! we're having a quiet day here. joe's gone for about 7 hours, umpiring two games, since baseball apparently does not rest, even for mother's day. lol! he did clean the entire house for me yesterday, and he will appreciate me giving him props for that on the blog. the girls and i will be hanging out at home, and heading to my brother's house for dinner later. this is an older layout, that i made in 2008. these photos were from when alyssa was just 11 years old, and sarah was just 8 years old. it seems like so long ago. and yet just like yesterday. all at the same time. kind of crazy how that works. sarah came down with her laptop last night, to show me some old video's that she was looking at. turns out, quite a while ago, she had taken a few of the video's, and put them together into a little movie. she even had an intro and credits. which i think is pretty cool, since i have NO clue how to do that sort of thing. no idea how she learned to do that. these were also from back in 2008. i love looking back at how silly and goofy they both were. the good news, is that they are STILL that silly and goofy. did you catch the part when sarah talks about how they had this "special talent", and she makes the super scrunched up, huge smile? that's because the girls used to give me those smiles ALL the time, when i had my camera out. want more proof? here's a layout i did a few years ago, after finding a bunch of those photos. actually, i made this in 2008. i'm not saying that, because i can remember when i made it. that's what the file info on this image tells me. lol! so i made this layout with old pics, the same year that the girls made those video's. today, on the bella blvd blog, it's challenge day. the challenge is to scrap about yourself, from a mother's point of view. this one threw me a bit. but i think the layout i came up with was a pretty good take on the theme. here's a peek at my layout. 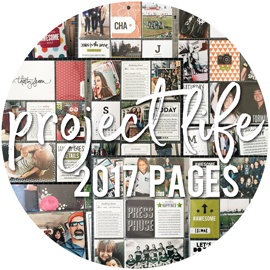 head over to the bella blvd blog, where you can see my full layout and all the journaling HERE. you can also see another take on the challenge, by beth gerlach. this is my second post today. keep scrolling down for a new layout! In Colorado the weather in the spring is tricky! It was snowing three different times over the weekend. Nothing stayed on the ground, but it was cold. Today is sort of sunny, but still cold. I'm hoping spring weather shows up soon! congratulations jennifer! please email Maricarmen at mnecochea@makingmemories.com, and she will get your hands free kit sent out to you. thanks to everyone who took a few minutes to share your good and bad weather with me. lol! we're expected to hit 90+ degrees today. alyssa has her last soccer game, so she's not loving that forecast right now. this week, on the pebbles blog and american crafts blog, the designers have all teamed up for a very creative week. we are all creating projects, using BOTH pebbles and american crafts products. 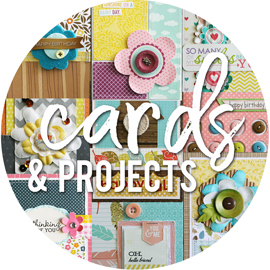 we wanted to show off not only how easily our products work together, but how fun it is to combine them to make great layouts, cards, and more. i love doing projects like this. i think collections are brilliant, for taking the guess work out of matching up papers and embellishments. but i always enjoy the challenge of picking out papers from numerous manufacturers or collections, and finding the ones that go perfectly together. so that's exactly how i started this layout. one of the things that i love the most about so many of pebbles and american crafts papers, is their tone-on-tone patters. i love patterns, and i love having a lot of different patterns on one layout. the tone-on-tone look is so subtle, but still has lots of interest. from pebbles, i chose papers from the happy go lucky collection and the ever after collection. and from american crafts, i chose papers from the campy trails collection, the peachy keen collection, and the hello sunshine collection. all tone-on-tone papers, with one strip of kraft mixed in, that ties all the colors together. for the top of the layout, i used the backside of some kraft pattern paper, and ran it through my swiss dot embossing folder. i have been doing a lot of mixed titles lately. most of them, are on upcoming layouts for the magazine, so you'll have to trust me on this. lol! but i have been making longer titles, for once. and mixing lots of different types of alphas and colors, to form my titles. for my "sunny summer days" title, i used green foam thickers from AC, magenta chipboard thickers (i know they look red, but they're a deep purple) from AC, and brown letter stickers from pebbles. i can't do a layout without ribbon. so i chose a green polka dot ribbon from pebbles, and a fun yellow pattern ribbon from american crafts. the paper flowers are called "delights", and are from american crafts. super cute, and tons of texture. the toothpick flag is from pebbles, and tucks right behind the paper flower. it's mom's week over on the bella blvd blog. lots of inspiration planned, just in time for mother's day. which is this coming sunday, by the way. i'm hoping that i'm not the only one that didn't realize this. lol! yesterday, one of my gift ideas was featured. you can read more about what's inside this jar, and just how simple it is to make one of your own, right HERE. you all know i love my hands free kit, for my slice. i have mentioned quite a few times, that i really do think this is a must-have item if you own a slice. if you are a slice owner, and don't have one of these yet, today may be your lucky day. the generous folks at Making Memories had the fabulous idea to let me host a giveaway for a hands free kit. one lucky blog reader of mine will have one of these delivered to their doorstep. all you need to do, to be included in the drawing, is leave me a comment. just for fun, tell me what your weather is looking like this week. here, in my part of california, we're expecting mid to high 80's all week long. love it. comments will be left open until late tuesday night, and i will announce a winner on wednesday morning. and don't forget. if you are on Facebook, be sure to become a FAN of our SLICE FACEBOOK FAN PAGE so you can be the first to know about new products, project ideas, tips & tricks, and giveaways too!